and the technology use from “Koboshi”,paper doll, making in Aizu Wakamatsu in Fukushima prefecture. Both area are damaged from big earthquake in 2011. It’s totally water proof. also it’s good to use as flower vase! 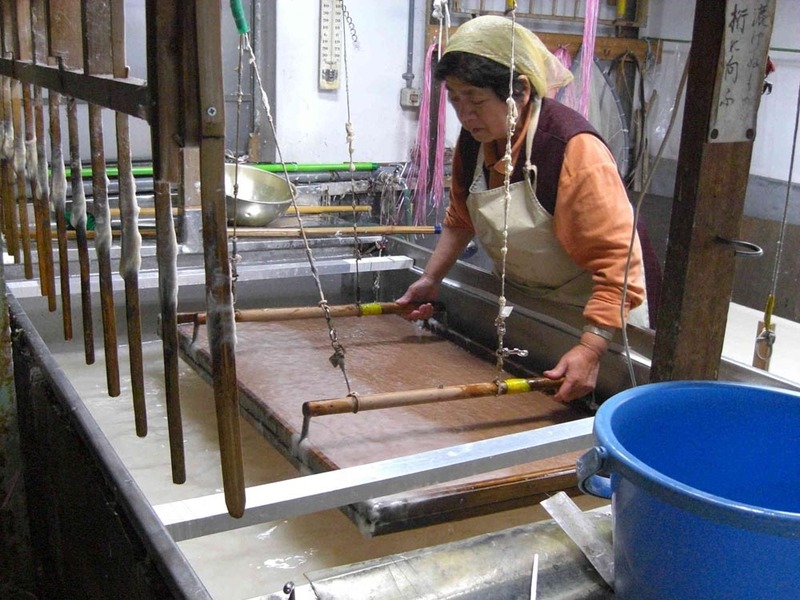 Only three old craftswomen work in Shiraishi Japanese paper studio. “It is only me to make and keep doing for 40 years. I am already too old and hard to do it now. 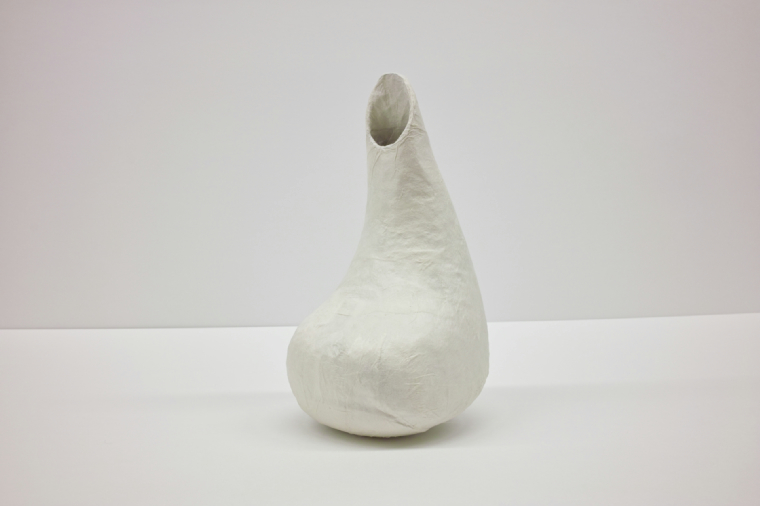 The paper is processed as a certificate and clothing, a paper cloth texture, a card case and handbag. International designer, Issey Miyake often use this paper for making his designed clothes. He had a exhibition and introduce this unique material to people. Paper mulberry tree is main material in Shiroishi Japanese paper studio. The fiber is thin, and the characteristic is long and is soft. 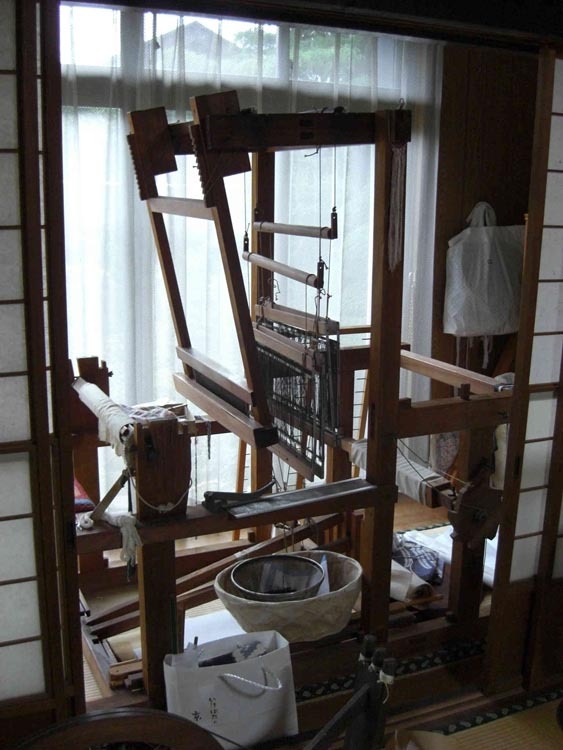 From this material characteristic, spinning a thread from a Japanese paper and weaving soft paper cloth. Tohoku was cold, and raw cotton did not grow. 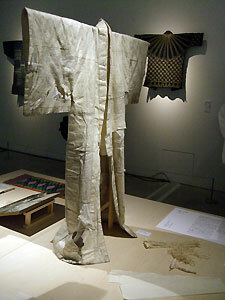 Instead of wearing a kimono with cotton, people wore the clothes, Kamiko which made with paper, inside and got over cold. The paper cloth absorbs sweat well, and dries immediately in the summer. And it’s keeping warm inside of a kimono in winter. 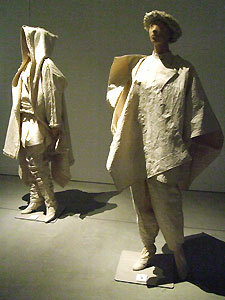 The clothing made from Shiroishi Japanese paper came out of wisdom to adapt itself to a climate of this area. It’s really good feel, when touching it. Thus, there is the culture that is necessary for a thing made only in climate of the land.